Easy & light salad. 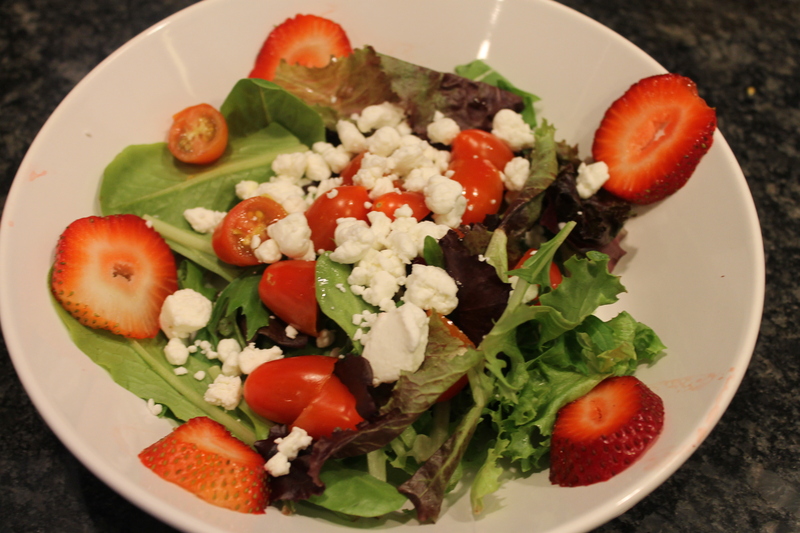 Strawberry, Goat Cheese, Arugula, Spinach, Cherry Tomato. Add some balsamic w/ a little olive oil and you are set!